This cozy guesthouse is a separate 2 bedroom cottage located in the back of main house. 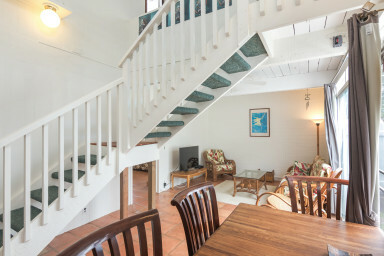 It is located 1.5 blocks from the beautiful Kailua Beach. On your way to the beach pick up an early morning coffee (they have a variety) breakfast or lunch at Kalapawai Market. You can sit or walk the two and a half mile white sand beach. You are within minutes of everything Kailua has to offer. There are kayak, bicycle, windsurfing rentals and a few eateries available steps away. Within a few minutes drive are golf courses, a movie theatre, restaurants, grocery stores, ATM's, tennis courts, an Olympic size swimming pool, hiking trails, a scuba rental shop, boutiques, and so much more. We provide you with beach chairs, beach towels, a variety of snorkels, masks, fins, coolers, a picnic basket, and sand toys. Please rinse them off after using them. There are children's toys, DVDs, board games, and a small library available for your enjoyment. No smoking in the home is allowed. Please be respectful of the quiet neighborhood. The exciting nightlife is 25 minutes away in Waikiki. We provide clean towels and linens upon request. The guesthouse was recently remodeled with all new appliances including granite counter tops. There is plenty of space with nearly 1000 square feet including the upstairs patio. This patio is a wonderful place to enjoy morning coffee or an evening glass of wine. It includes a table, tilting umbrella, and seating for five. Downstairs opens up to a small fenced private yard with a table, chairs, umbrella and a Weber charcoal barbecue. Enjoy your meals inside or out. The large kitchen table seats four. The upstairs bedroom is a loft with a king size bed. The bedroom downstairs is furnished with a queen size bed. Additionally, there is a fold out couch in the living room . There is a portable PAC n Play with a detachable bassinet for babies. You have your own private parking with enough room for two vehicles. The flat screen television includes HBO, Showtime, on Demand and Starz. The DVD player has Netflix, HULU, & Amazon if you have your own subscription. We kindly ask that you wash all dishes and place all trash in outside bin before leaving. There are two Labrador retrievers on the owner's property. They do not have access to your cottage. We enjoyed our stay very much. It was very clean and close to the beach, restaurants and stores. Someone was on site to answer questions yet it was very private and quiet. We go back for sure and will recommend to others. In addition, it is very close to Kailua & Lanikai beaches which are fabulous beaches. Thank you!!! Marian is the great host. A nice, clean place with plenty of beach extras for guests. Our host was excellent, as she made it a point to check in on us. Proximity to the beach was great, just a short walk and you’re on the sand of beautiful Kailua Beach. Beds were comfortable and living space was welcoming. The only minor annoyance is that the dogs next door barked at us upon entering and leaving. We would recommend Sunrise Cottage and we would stay there again. 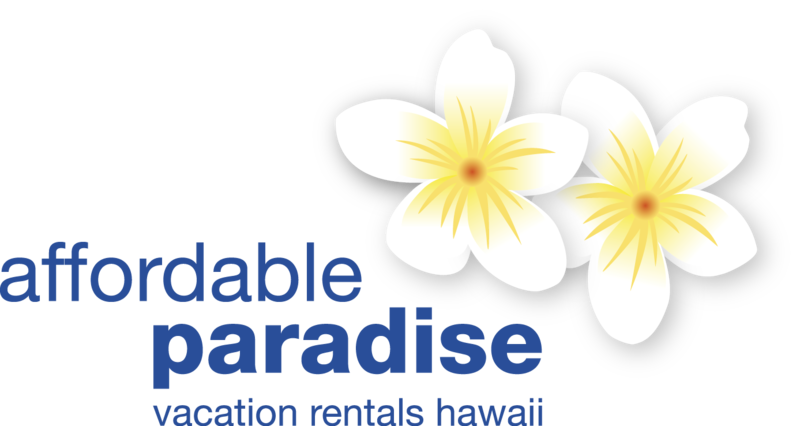 Comfortable walking distance to Kailua Beach Park Very friendly & helpful Owner Very comfortable stay with everything you need from the kitchen to the beach Nice patio area for a bbq sess. House is only a few blocks from Kailua beach, one of the most beautiful beaches in the world. There are a few maintenance issues (lights that don't work, bathroom sink clogged up) but all in all it was a great place to stay. Great little place, even better host! The Sunrise 'ohana' / Guesthouse in Kailua was fantastic. Comfortably slept 5 of us between the king in the loft, the queen in the bedroom and the pullout sofa in the living room. You can sleep 6 (if 3 couples) no problem. The only issue is that you'll have to share one bathroom, but it is a good size bathroom for a guesthouse. Perfect retreat after a day at the beach, hiking, kayaking or wherever your Oahu adventures take you. I have family on the "Windward" side of the island (opposite the hustle, bustle and floods of tourists on the Hono/Waikiki side of the island), so this was the perfect spot for my family vacation. Marian was an incredible and gracious host. We were there for 10 days, and she laundered our towels/linens multiple times for us! The galley style kitchen is not large, but has all the amenities you need. We happened to be there during the warmest spell of the year, so the lack of AC was a little inconvenient at times, but Marian even provided an additional fan on request to help keep the air circulating. All the windows and doors have screens, so you can keep the critters out while letting the breeze in. Highly recommend the Sunrise Guesthouse for anyone who wants to experience the Kailua / Kaneohe side of Oahu...which in my opinion one of the most beautiful and relaxing places in Hawaii. Sunrise Guesthouse is better than advertised!! VERY NICE PLACE TO STAY.OWNER GOES OUT OF HER WAY TO MAKE YOUR STAY COMFORTABLE. We had a great stay. Location could not be beat. Plenty of fans to keep the house cool. No problems sleeping at night. Lots of beach gear that was in good condition. Marion was very kind. The patios (lanais) were well used and enjoyable. We would definitely stay there again.